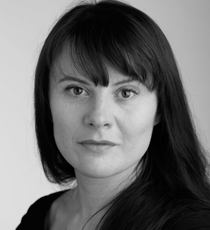 Monica Dolan is a BAFTA award winning actress whose work spans stage, television and film. Highlights include APPROPRIATE ADULT, for which she won the BAFTA, WITNESS FOR THE PROSECUTION, THE CASUAL VACANCY, feature film EYE IN THE SKY and of course W1A. Most recent TV credits include VANITY FAIR and the BBC One Stephen Frears’ Drama A VERY ENGLISH SCANDAL. She has most recently wrapped on filming feature films RIALTO and DAYS OF THE BAGNOLD SUMMER and she is currently playing the role of ‘Karen’ in Ivo van Hove’s production ALL ABOUT EVE alongside Gilian Anderson and Lily James which is playing at the Noel Coward Theatre until May.